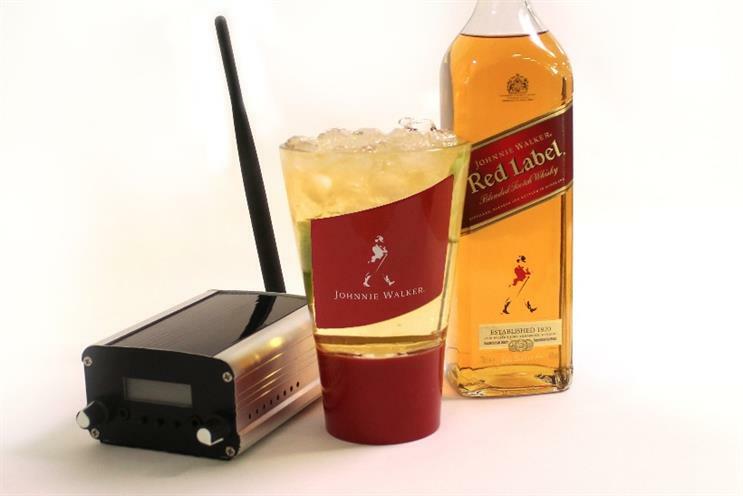 Johnnie Walker Red Label has created a glass that uses bone conduction technology to transfer music to the inner ear when the teeth connect with it. Labelled ‘the boldest glass’, Diageo claims the one-off design is an industry first that uses sensory science to communicate directly with the drinker by transporting music directly into their ear. The concept is designed to enhance the experience of drinking Johnnie Walker, the drinks giant said, that opens up the possibilities of future collaborations. "This could potentially be a revolution within a culture that hasn’t changed in decades," said brand director Oscar Ocaña. "The glass is set to give drinkers a glimpse of what bar culture could be like in the future." A concealed piece of tech turns the surface of the glass into a speaker, creating minute vibrations that turn to music when touched with the teeth. The glass can be sampled on request at London bar, Call Me Mr Lucky, over the next month.